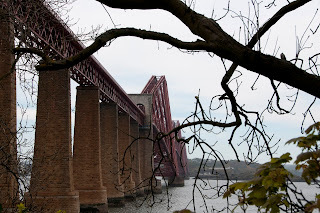 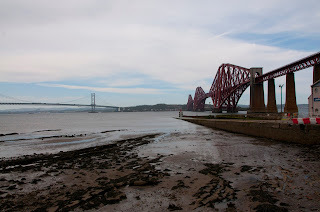 After our visit to Edinburgh Zoo we drove out of Edinburgh to Queensferry to see the spectacular Fourth Bridge that passes over the river Firth of Forth. 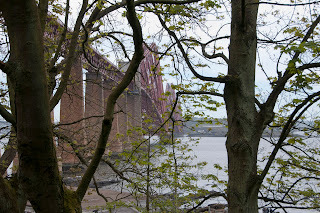 The bridge was built in the 1800's and is well know as one of Scotland's landmarks. 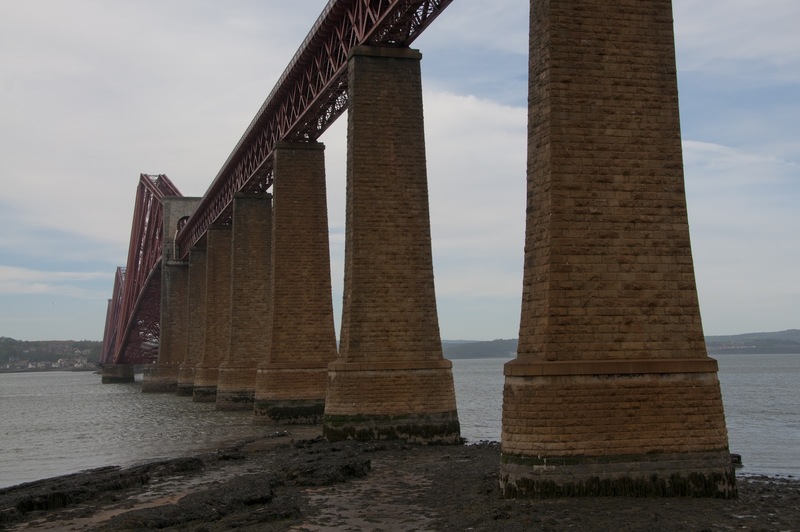 Until 2002 it was well know that the bridge was constantly employing maintenance staff that continually painted the bridge. 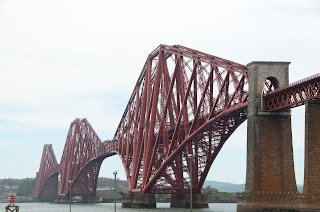 They would spend all year starting at one end of the bridge and by the time they had got to the other side and finished painting it was time to return to the beginning and start painting it all over again. However this has now changed and a new paint that was applied in 2002 is expected to last at least 25 years and therefore saving the bridge owners a lot of time and money. 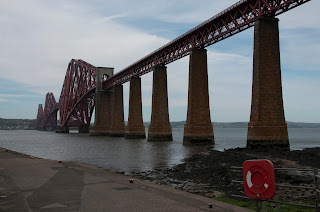 Here you can see both Fourth bridges, the road bridge to the left and the iconic rail bridge to the right.